Help support our efforts to serve veterans, active duty military and their families! Visit sears.com/heroesathome to learn more about Heroes at Home and donate today. James is a 78-year-old veteran who served in the Air Force for 11 years, including in both Korea and Vietnam. He was Airman First Class with Top Security Clearance, primarily guarding and securing heavy machinery, weapons and ammo. His role allowed him to travel all over the world, including to China, Germany, Panama and Japan. "I was helping to protect the world." After leaving the service in 1965, he came back home to St. Louis, Missouri, and worked for the Southern Railroad as an engine operator. He worked 16 to 18 hour days for 34 years. One thing that he really loved about his job was traveling across America. The military took him around the world, but his civilian employment allowed him to see many states, cities and towns in his own country that he may never have gone to otherwise. James was the consummate bachelor for 53 years until he met his wife Lorene. They tied the knot in 1991, and three years later they had their only daughter, Jaime. James and his wife have had some difficult times in the last couple of years. His wife had to quit her job as a housekeeper at a local hotel due to severe back problems. Not long after, James was in a car accident and suffered some injuries which still give him daily aches and pains. These circumstances have made it difficult for James to keep up with necessary home repairs. He has always tried to do things himself when it came to his home, but now he is unable to keep up it on his own. 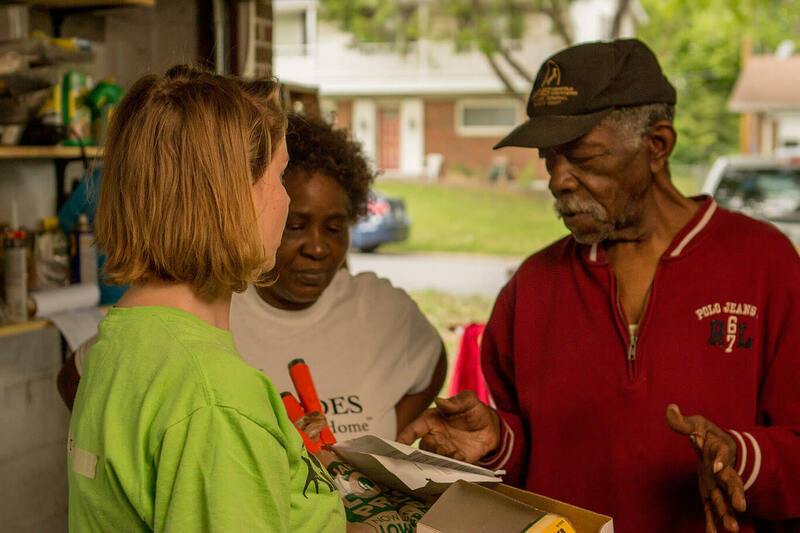 In May 2015, Heroes at Home volunteers with Rebuilding Together St. Louis and Sears came out to help James and his family. Volunteers did major roof repairs painted the kitchen, living room, dining room and basement; cleaned the walls, which were water damaged and stained tobacco from use; weatherized all of the windows to help keep the energy bills low; and fixed the furnace. All of these critical repairs will help ensure a safer and healthier home for James, Lorene and their daughter. 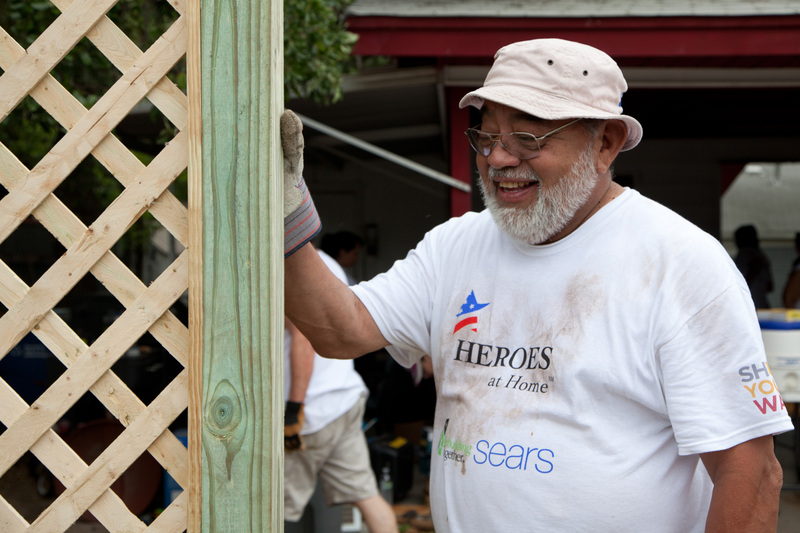 James is just one of the nearly 2,000 veteran homeowners that Sears and Rebuilding Together have helped transform their lives through Heroes at Home. Since 2007, we have partnered to make veterans and their families’ homes safe and healthy. More than 40,000 volunteers have donated nearly 320,000 hours on projects, and our supporters have raised nearly $19 million though online and in-store donations. Our veterans have sacrificed for their country and their families. We are honored to be able to serve those who have served us, both at home and around the world.